“During the development phase of a project, one of the processes we need to go through is a full risk assessment to ensure that we comply with the Health and Safety at work act. During the risk assessment it became apparent that we had a high risk of injury due to the fumes from the adhesives we would be using. As it was not feasible to install external venting due to tight timescales on the project, alternative vent solutions were considered. Numerous suppliers were contacted and BenchVent was chosen due to their efficient communication, efficient delivery service and competitive costs. Chemring use our P1002-C Primary Filter Unit. Mounted above a robotic laser cutting machine, the unit removes fumes and toxic gases released during plastic cutting. 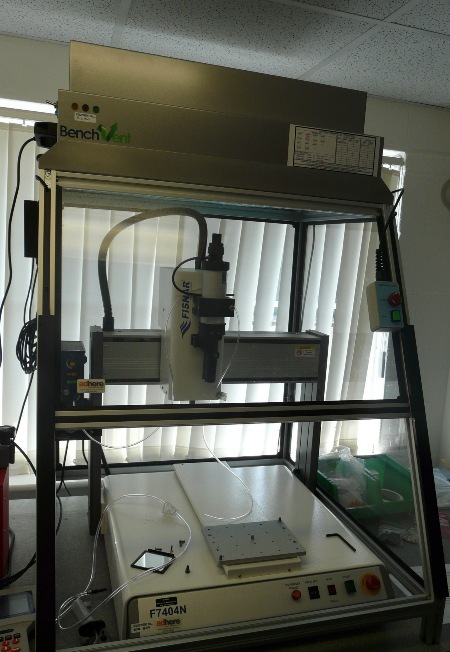 Once the plastic pieces are created they are then transferred into the nearby BV930H-C. This tabletop cabinet provides a safe, open area for operatives to add the adhesive. The BV930H-C unit removes the fumes from the cyanoacrylate monomer, filtering them through the carbon filters to release clean, breathable air through the rear of the cabinet. 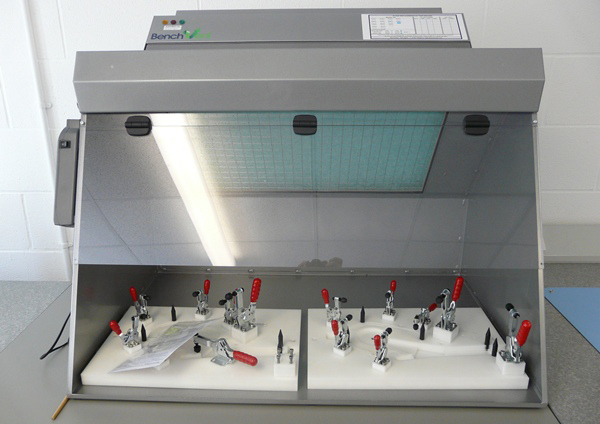 BV930H-C: Cabinet for effective removal of irritants generated in adhesive application. Or contact us for more information on our heavy industrial use products.